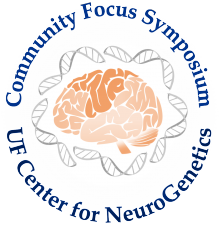 We held our first Center for NeuroGenetics Community Focus Symposium on July 22nd 2016 at the University of Florida. 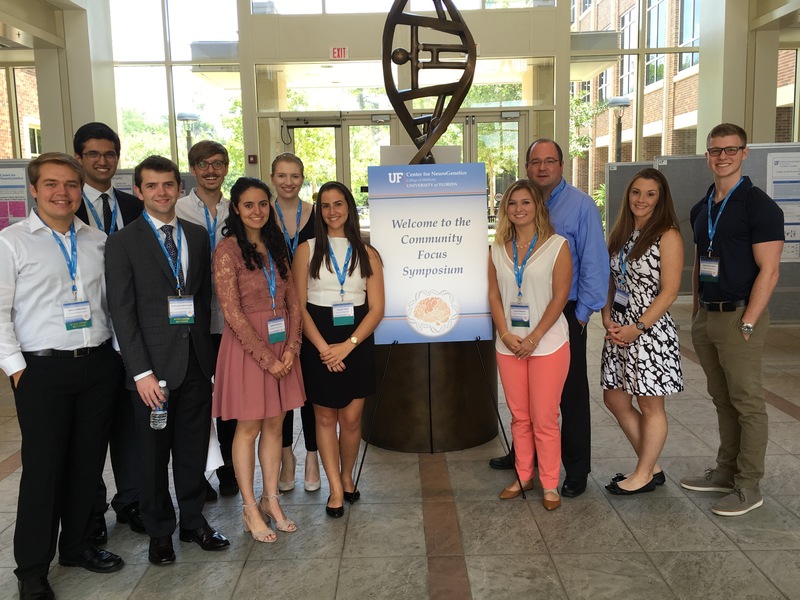 This Symposium highlighted for the community what we are learning through interdisciplinary basic and clinical research efforts among Center for NeuroGenetics faculty and students across campus. Our program for this meeting included an overview of CNG research efforts, CNG faculty presentations, short talks and poster presentations by Postdoctoral Fellows, Graduate Students and a group of Undergraduate Summer Research Students that are being funded through a new philanthropically supported undergraduate scholarship effort. First row (L-R): John Leatherman, Zacharias Anastasiadis, Andrea Murciano, Daniela Valero, Lainey Williams, John Cleary- PhD, Jana Jenquin – BSc, Quinn Silverglate. Back Row (L-R) Faaiq Aslam, James Thomas – BSc, Melissa Hale – MSc. We invited people from the community that have previously participated in or were interested in our efforts to fight neurodegenerative disease to our Center where they were able to interact with and meet our team of interdisciplinary scientists who are working in the various research laboratories. For members of the community that were unable to join us, the talks were live streamed as well as recorded. Click on the link at the top of the page if you would like to view the video of the Symposium.